Unraveling the dynamics and driving forces of abundant and rare bacteria in response to glacial retreat is essential for a deep understanding of their ecological and evolutionary processes. Here, we used Illumina sequencing datasets to investigate ecological abundance, successional dynamics, and the co-occurrence patterns of abundant and rare bacteria associated with different stages of soil development in the Hailuogou Glacier Chronosequence. Abundant taxa exhibited ubiquitous distribution and tight clustering, while rare taxa showed uneven distribution and loose clustering along the successional stages. Both abundant and rare subcommunities were driven by different factors during assembly: the interactions of biotic and edaphic factors were the main driving forces, although less important for rare taxa than for the abundant ones. 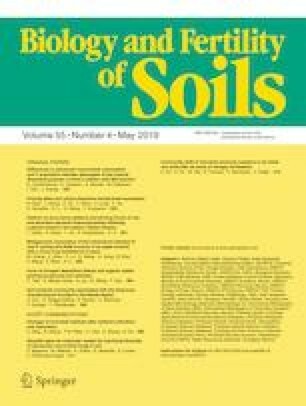 In particular, the redundancy analysis and structural equation modeling showed that soil organic C, pH, and plant richness primarily affected abundant subcommunities, while soil N and pH were most influential for rare subcommunities. More importantly, variation partitioning showed that edaphic factors exhibited a slightly greater influence on both abundant (7.8%) and rare (4.5%) subcommunities compared to biotic factors. Both abundant and rare bacteria exhibited a more compact network topology at the middle than at the other chronosequence stages. The overlapping nodes mainly belonged to Proteobacteria and Acidobacteria in abundant taxa and Planctomycetia, Sphingobacteriia, and Phycisphaerae in rare taxa. In addition, the network analysis showed that the abundant taxa exhibited closer relationships and more influence on other co-occurrences in the community when compared to rare taxa. These findings collectively reveal divergent co-occurrence patterns and driving forces for abundant and rare subcommunities along a glacier forefield chronosequence in the eastern Tibetan Plateau. The online version of this article ( https://doi.org/10.1007/s00374-019-01355-w) contains supplementary material, which is available to authorized users. The authors are grateful to the Gongga Mountain Alpine Ecosystem Observation Station, Chinese Academy of Sciences for logistic support. This work was supported by the Talent Program of the Hangzhou Normal University (2016QDL020).